A French accident investigation report revealed that an Airbus A330 departed Caracas, Venezuela with significant damage following a hard landing on arrival. 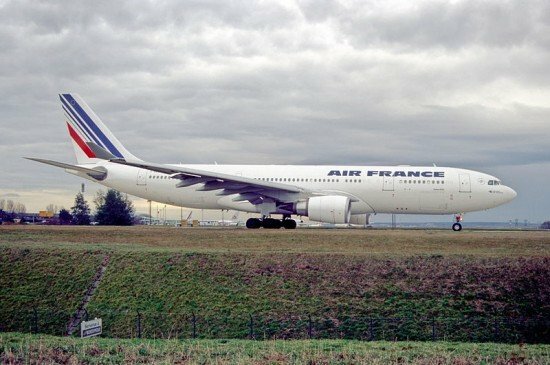 The accident occurred on April 13, 2011 when Air France flight 470 suffered a hard landing at Caracas-Simón Bolívar International Airport (CCS), Venezuela. The airplane landed amidst thunderstorms following an ILS approach that was flown without autopilot and autothrust. The Airbus touched down at 2,74 G with a descent rate of -1200 ft/min. Flight 470 taxied to the terminal without any problems. The captain reported the hard landing in the Aircraft Technical Log and reported it to the station manager at Caracas. One Air France technician performed a walk around check in very heavy rain and low light conditions and did not note any damage. The Aircraft Condition Monitoring System (ACMS) did not generate an automated ‘hard landing’ report. These reports are generated, based on specific landing parameters. Also, no report was received at the company’s Maintenance Control Center (MCC). The Data Management Unit (DMU), part of the ACMS that generates the hard landing reports, was checked and it was concluded that there was no defect. Consequently, the airplane was released for the return flight to Paris. Upon takeoff from Caracas at 18:30 local time, the crew were not able to raise the undercarriage. After burning off fuel the crew landed safely back at Caracas. After parking, significant damage was found on the right hand main landing gear and fuselage structure. As a result of this accident the French BEA recommended Airbus to change the Aircraft Maintenance Manual (AMM) of aircraft that are equipped with Aircraft Condition Monitoring Systems. Technicians should have a flow chart to diagnose hard landings, even if the ACMS had not generated an automated ‘hard landing’ report.